It looks fantastic, well done! looks great, so disappointed i'll be missing this one. look forward to the september one! Awesome, Awesome Awesome - Love every little thing Sarah does! 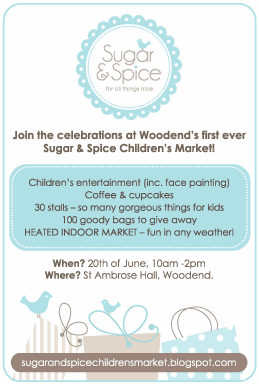 Oooh, the first market will be here before we know it - I can't wait!! Sarah is so clever! Hopefully i can still make this market. If I can hold this wee bubbie till the 21st of June I shall of him then. My Mum should also visit and fly in on the 20th so hopefully I can bring her along too. She would LOVE it! Early morning would be best for your mum to fly in as you will already be half way to the market at the airport!